Honka and Mariehamn meet at Tapiolan Urheilupuisto, in a match for the 3rd round of the Veikkausliiga. The head‑to‑head record at this stadium couldn't be more balanced, as it shows 3 draws in the last 3 head‑to‑heads. Accordingly, in the last head‑to‑head played at this stadium, for the Veikkausliiga, was on 07‑05‑2018, they tied (1‑1). J. Levänen (30' ) scored for Honka and S. Silverholt (85' ) for Mariehamn. Both teams register significant differences between home and away results, so the home/away factor is worth atention. The home team comes to this 3rd round after a (1‑2) win in their league debut, against RoPS. This is a team that, oddly enough, has had better results in away matches than at home, since in the last 30 matches they register 9 wins, 5 draws and 1 loss in away matches; against 8 wins, 4 draws and 3 losses at their stadium. In the last match played at this stadium for the Suomen Cup they lost by (3‑4), in a penalty shootout, against Ilves. 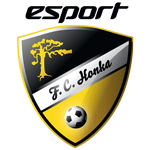 Honka has won 6, tied 2 and lost 2 of the last 10 home matches. They haven't been very strong defensively, since they have suffered goals in 7 of the last 10 matches, but their offense has scored frequently, since they have scored goals in 8 of the last 10 matches. Confirmed Lineup: T. Murray, G. Baah, R. Ivanov, M. Sumusalo, H. Aalto, Lucas Kaufmann, J. Hakola, D. Tammilehto, Javi Hervás, L. Silva, Borjas Martín. 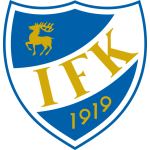 The away team comes to this 3rd round after a (2‑1) loss in their league debut, against HJK. This is a team that usually makes good use of the home advantage, stronger with the help of its supporters, since in the last 30 matches they register 2 wins, 4 draws and 9 losses in away matches, with 10 goals scored and 22 conceded; against 7 wins, 4 draws and 4 losses at their stadium, with 23 goals scored and 18 conceded. In the last 10 away matches Mariehamn has won 2, tied 3 and lost 5. Their offense has scored consistently, as they have scored goals in 8 of the last 10 matches. In their away matches there is a tendency for goals, since 18 of the last 21 matches have ended with Over 1,5 goals. Confirmed Lineup: O. Forsman, R. Buwalda, R. Ketting, A. Mäenpää, D. Murnane, G. Backaliden, R. Crawford, D. Sjölund, R. Sid, H. Lönn, A. Mboma.